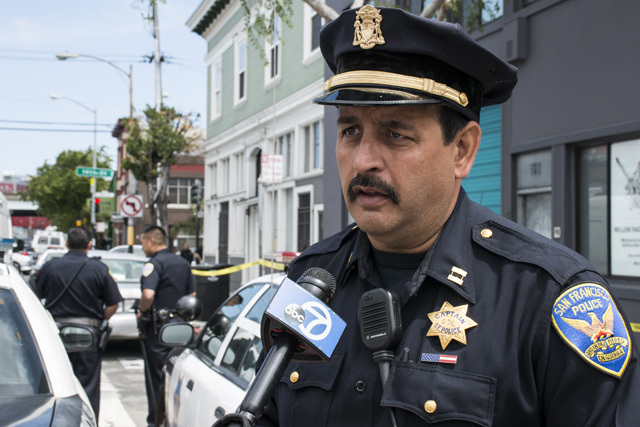 The San Francisco Police Department announced yesterday the promotion of six command staff members to new leadership positions – among them is Mission Station’s captain, Daniel Perea. Perea will be assuming the rank of commander, although it is unclear when his promotion will take effect. A spokesperson for the department said on Friday that the department is actively trying to fill the position, and that the station’s highest ranking officer will assume the role of acting captain of Mission Station until a replacement is found. Perea has been on the force for 26 years and captain of Mission Station since 2014.